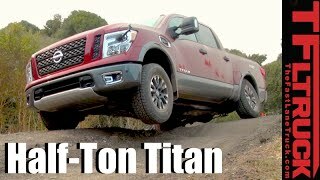 Nissan introduces Nissan Titan 2017 after the success of its previous model Titan XD. It is Titan’s unique half-ton pickup truck. It can be proved as a unique solution for customers, by bridging the cost and capability gap between traditional half-ton and full heavy-duty pickups. 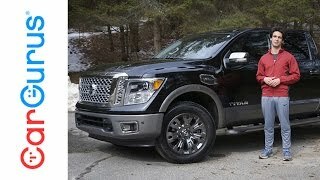 Let us have a close look the reviews of the aggressive model Nissan Titan 2017 and get to know more about the gestures it contains. 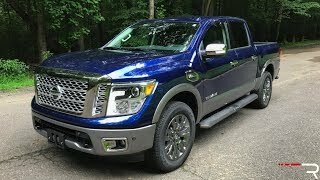 The Nissan Titan 2017 shares the look with the Titan XD. Titan has shortened the length of Titan than its previous version Titan XD has. The front tow hooks are incorporated into the bumper opening. There are side mirrors and the engine badge with which the Titan XD was lacking with. It comes with more traditional horizontal mirrors. The engine badge on the front fender denotes what powertrain is under the hood. So the exterior of Titan is identical to its previous version Titan XD, though it contains some unique features which XD doesn’t. 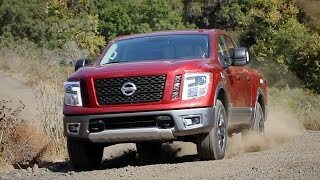 Under the hood of Nissan Titan 2017 is a revised version of the 5.6-liter Endurance V-8. It has Direct Injection Gas System. The power output offered by the V-8 is 390 horsepower and 544 nm of torque. A seven-speed automatic transmission is the sole gearbox. It helps the Titan to attain the maximum speed of 120 mph.